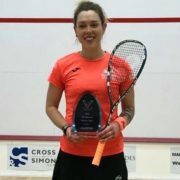 Lisa Aitken won the biggest title of her career on Sunday claiming victory at the $10k CSC Delaware Open in the USA. 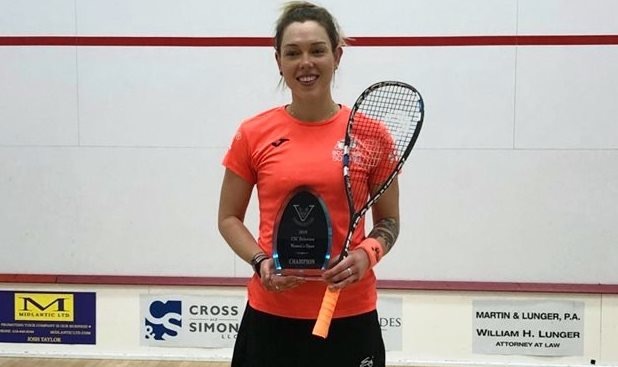 It’s the Scots sixth PSA World Tour title and her third in less than two months following back-to-back wins before Christmas. Scotland’s number one female beat the top two seeds in Delaware, sealing a dramatic 3-2 comeback victory in the gold medal match against second seed Liu Tsz-Ling (Hong Kong China), – 8-11, 6-11, 11-9, 11-3, 11-5. It follows a gruelling semi-final against Canadian Samantha Cornett (1) which was won 10-12, 9-11, 11-7, 10-12. 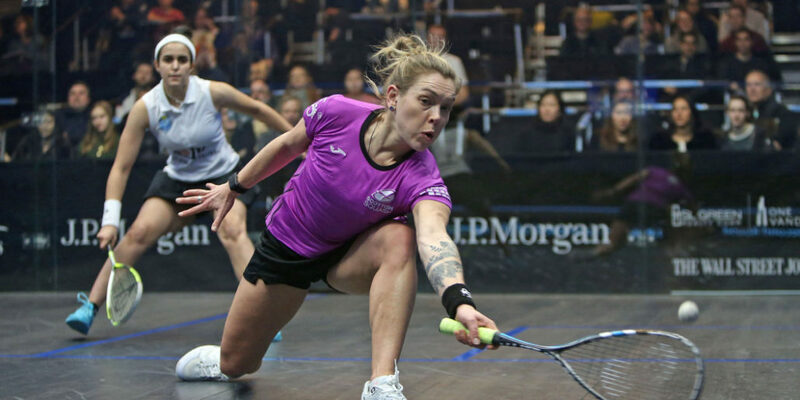 The 28-year-old says she is currently playing the best squash of her career having also performed impressively this month at the JP Morgan Tournament of Champions (ToC) in New York – her maiden appearance at a PSA World Tour Platinum event. 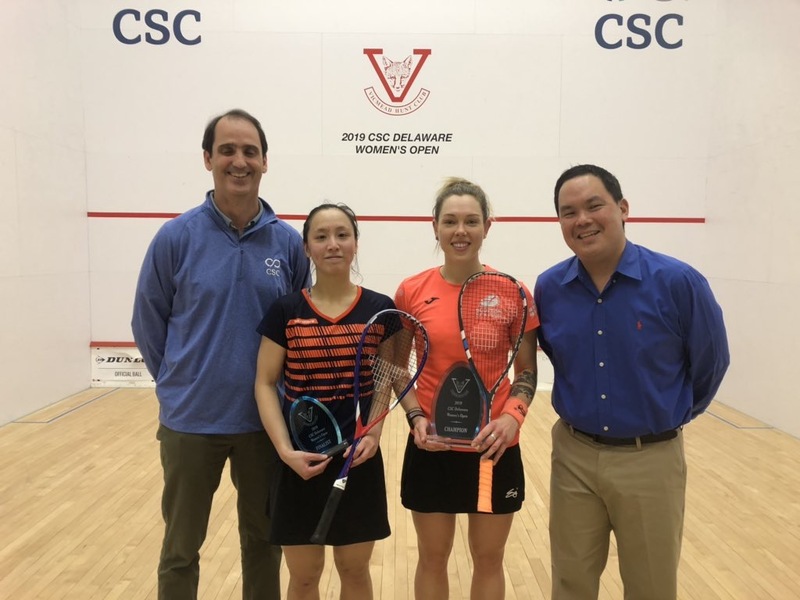 Speaking before embarking on a near seven-hour road trip to Ohio on Tuesday ahead of the Cleveland Classic beginning on Thursday, Aitken said: “I wasn’t ranked to get past the semi-finals in Delaware so to beat the top two seeds felt great. “It’s my biggest title so far having previously won $5k events. “My goal for 2019 was to win a $10k tournament so the fact that happened 27 days after I made that goal is pretty satisfying. She continued: “Getting through my semi-final was huge. “Samantha and I both really battled hard and put each other through the wringer physically and mentally. “She fought right until the very end and it was a big relief to win and I felt pretty exhausted after the match. “I knew I would have to be religious with my recovery to make sure I could produce the goods again in the final. “I recovered well but initially I couldn’t find the sharpness in the final that I had throughout the tournament. “She is a very good player but at 2-0 down I could see she was starting to get a little bit fatigued and I was feeling really good. “I used that to my advantage in the third and once I started to put more work into the rallies her errors started to come and I started getting more confident. “I felt unleashed and alive compared to the opening two games and imposed my style. 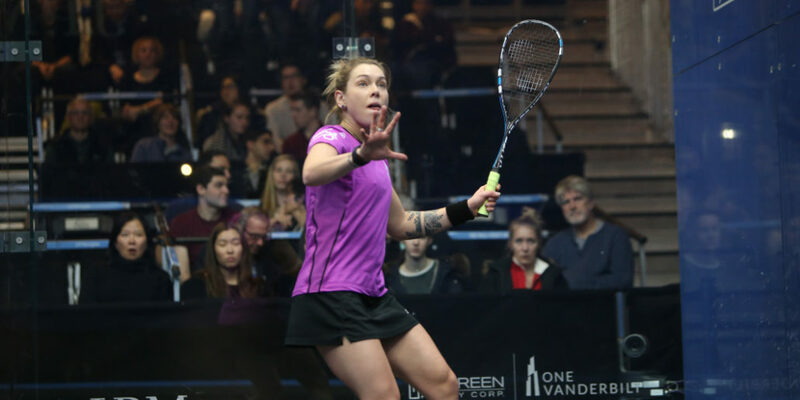 Aitken, currently ranked 54 in the world, received a late entry into the lucrative ToC event in New York and produced a stunning performance to beat Egypt’s Nada Abbas (WR34) in five games, saving match balls in the fourth. 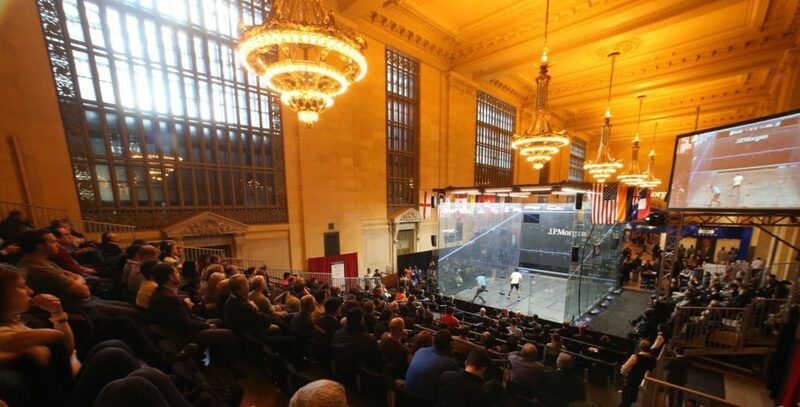 It set up a dream clash against the world number three Nour El Tayeb in the iconic Grand Central Terminal court, above, which El Tayeb won in three. Aitken’s performances over the past seven weeks has seen her belief levels soar and she believes breaking into the world’s top 20 is a realistic aim. “That is where I can definitely get to,” she said. “Watching my matches back, I see some rallies and think that I’m playing some top 20 squash. “I also look at the girls in the top 20 and feel I can be in there. “I’m the fittest I’ve ever been and playing the best squash I’ve ever played. “I hadn’t won any titles when I was ranked 38 in the world back in 2012 and I have won six titles since my comeback from illness when the quality of player is far higher. “So that speaks for itself. She added: “Playing in Grand Central was amazing and that’s what I train for, those moments. There’s no let up for Aitken in Cleveland on Thursday where she takes on World Junior Champion Rowan Elaraby from Egypt, ranked 32 in the world. She admitted: “It will be a big challenge and apart from playing El Tayeb in New York it will be my toughest match over here. “I am not seeded to win but if I play well then hopefully I can make some in roads. “It’s a long stretch for me over in the USA but you get billeted with families in some events and that can really help keep you mentally fresh. “I was billeted in Delaware which was great and before my final, Lindsay, who I stayed with, showed me around a massive Botanic Gardens. It was perfect preparation for the battle that was about to come.